It was a night of grandeur. 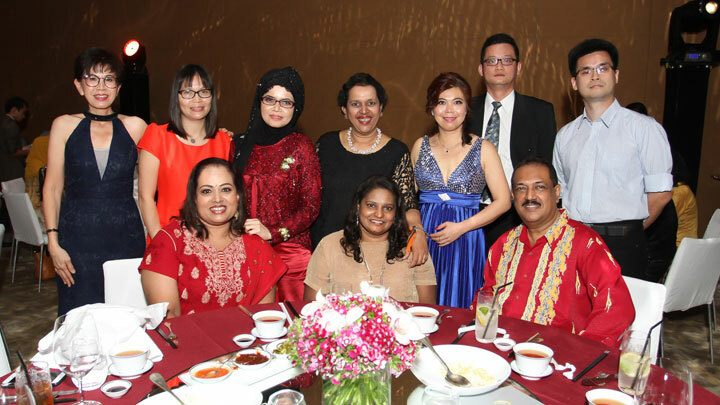 It was a night of splendor. 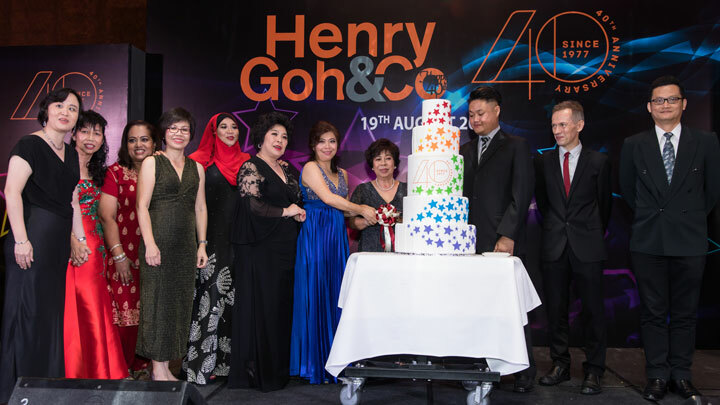 The People of Henry Goh and their loved ones came together at The Grand Hyatt Kuala Lumpur on Saturday 19 August 2017 to celebrate the Firm’s Ruby Anniversary, marking the company’s 40th year in the Malaysian IP industry. 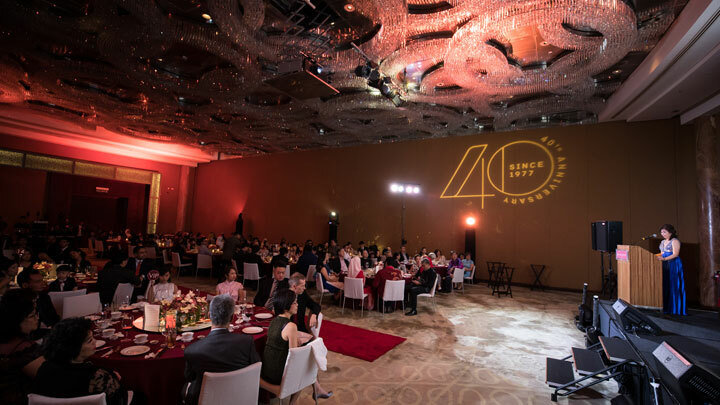 The event, which was streamed live on Facebook, kicked off with a Water Drum performance after which everyone proudly sang the corporate song. 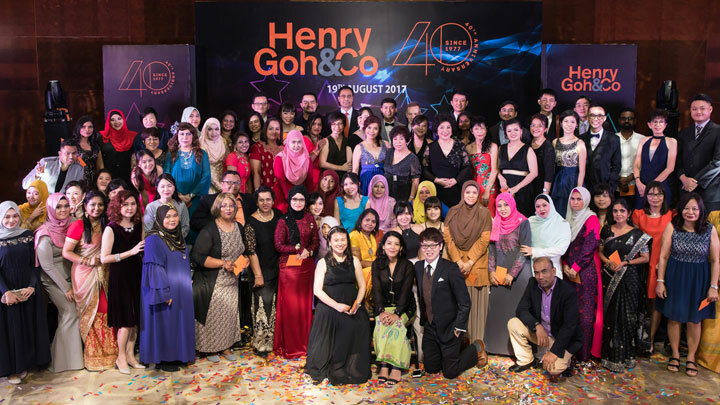 This was followed by the Managing Director’s welcome speech and an anniversary video presentation. 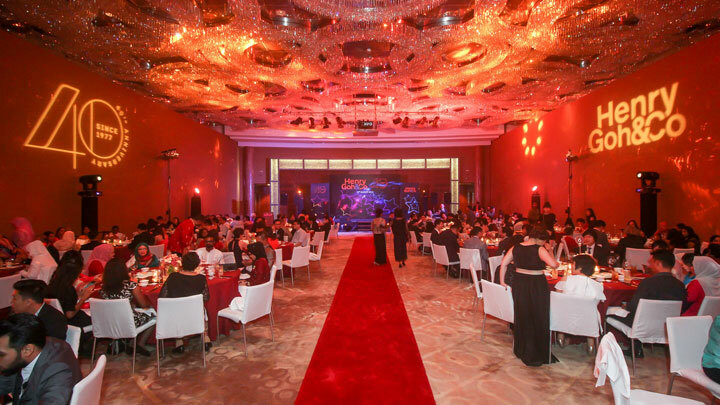 Guests feasted on a sumptuous 9-course Chinese cuisine while being entertained with exciting performances. 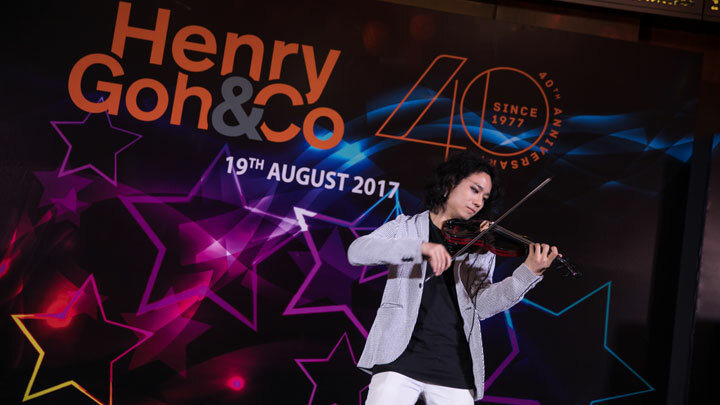 This included a vocal performance from Jordan, a young and upcoming singer and an electrifying act by the talented violinist Ken Lee. 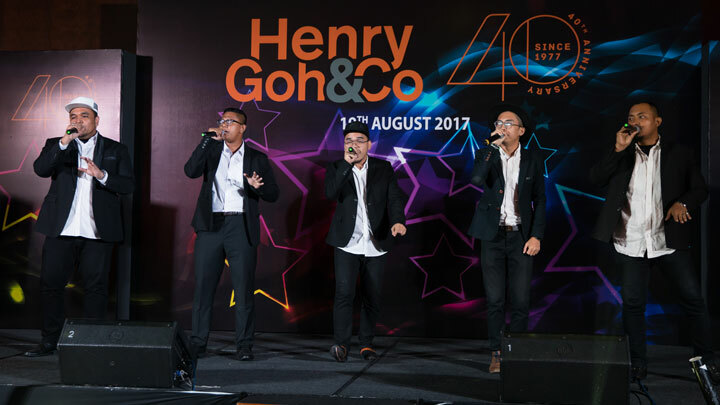 There was also a dance routine and a vocal performance by Colours of Voices, an acapella group. 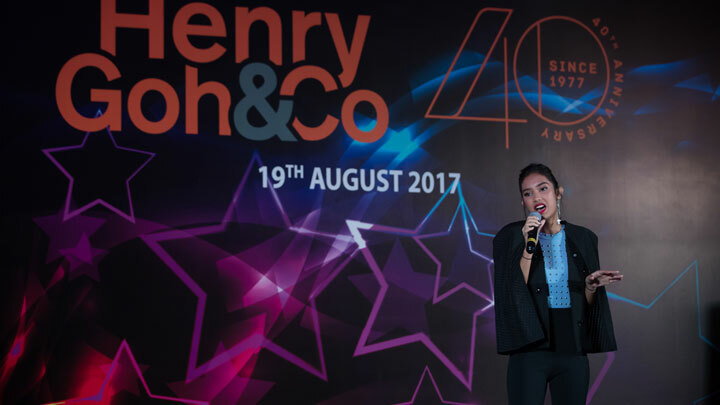 A magic showcase from Mark & Pinky completed the ensemble of entertainers. The night continued with games, which drew much laughter and amusement from the crowd. 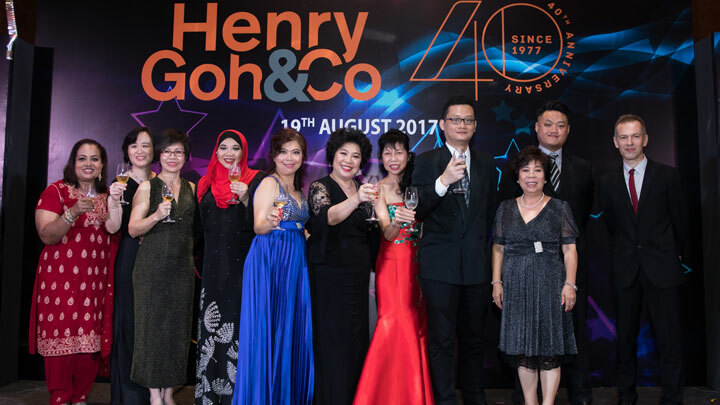 The highlight of the night was of course, the Anniversary Celebrations with a cake cutting ceremony, popping of champagne and a toast to the Firm’s continued success. 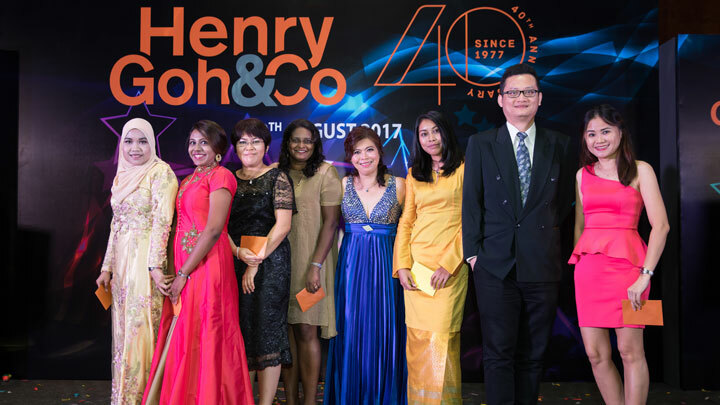 Afterwards, the Firm acknowledged the dedication and commitment of the staff with a monetary token of appreciation for everyone. 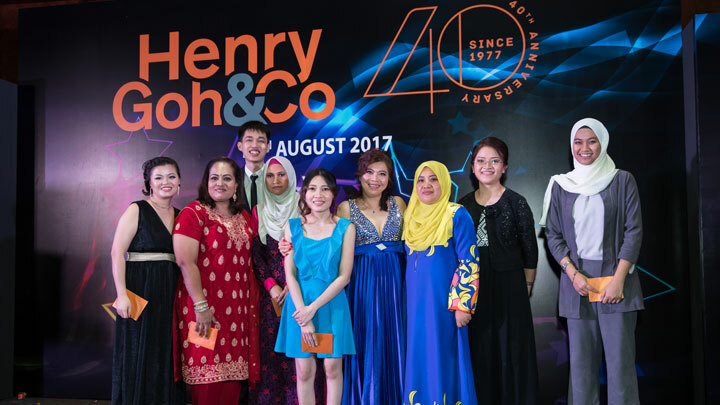 A Special Draw that had everyone in earnest anticipation culminated the night. 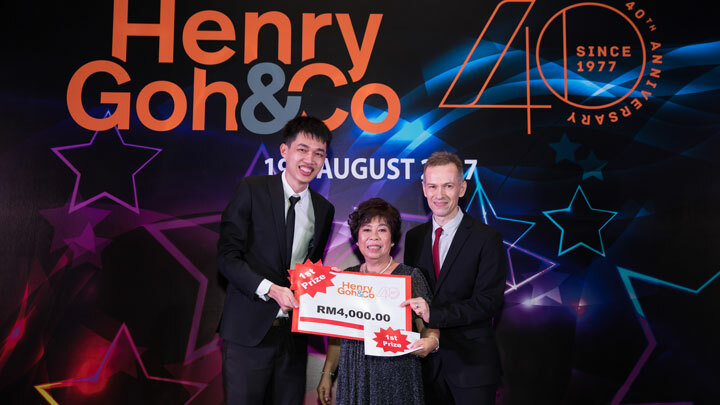 Ms Rajes, Ms Li Kwan and Mr Chin were the envy of many as they each walked away with generous cash prizes. 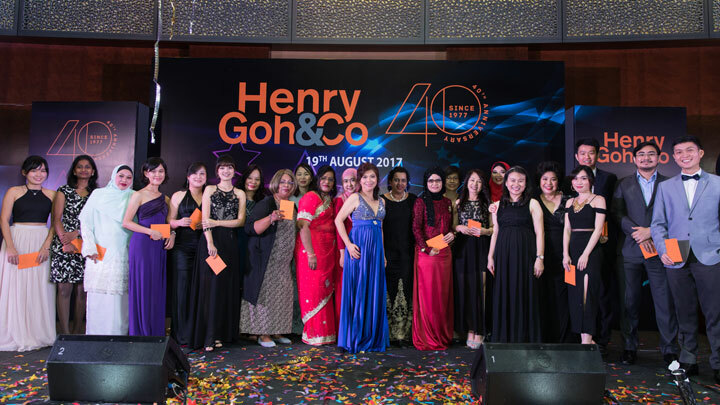 The event then drew to a close when everyone joined in the finale to sing “Rasa Sayang”, a Malay love song that conveyed the love and affection the People of Henry Goh have for the Firm. 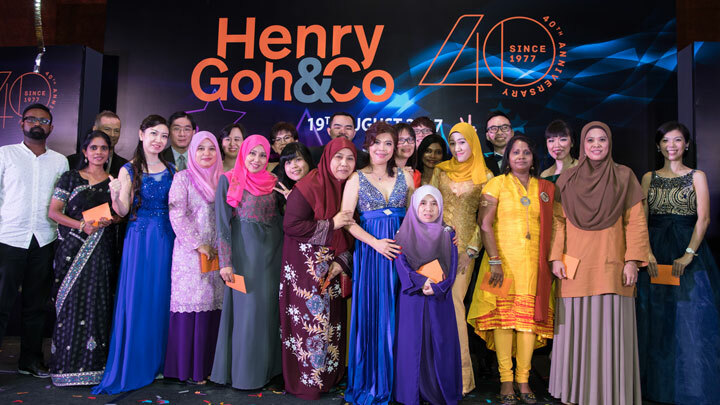 A shout out of gratitude and appreciation to the organising committee who have been working tirelessly for the past few months to make the 40th Anniversary truly memorable and unforgettable. 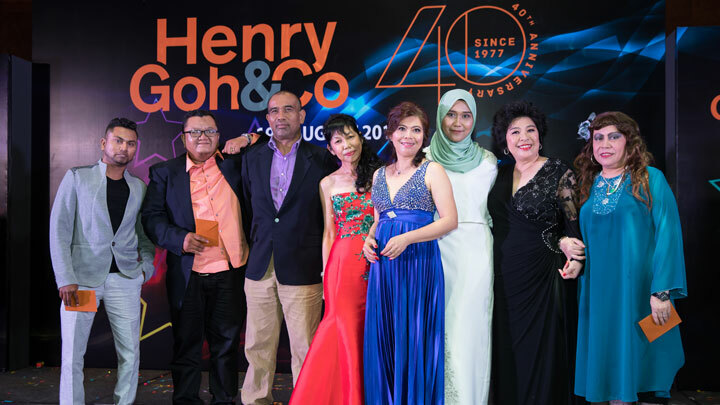 Here’s to the next 40 years of excellence!